hah, never thought I'd see the day. Just because he switched back to BW doesn't mean he hated SC2. The best move for him is to go back to BW where he will get more viewers than if he streamed SC2 if he wants to continue playing starcraft and make money. Needs to be streamed in costume! Stork sometimes is very nice and sometimes is very bad in the StarCraft. I guess that He won't pass to round of 24 group stage. He could have started so much earlier. Oh, heh, definitely will watch him. This post perfectly sums up Stork for me. Him and iloveoov are the only 2 that post anti afreecan sentiments, they could choose to just be neutral like the rest of other pros but instead they decide to diss on streamers (beggars, seriously?) like they are doing some kind of amoral sin. There was no need for that, so imo it does reflect their mindset to some extent back then. SC2 was not completely agonizing back then. 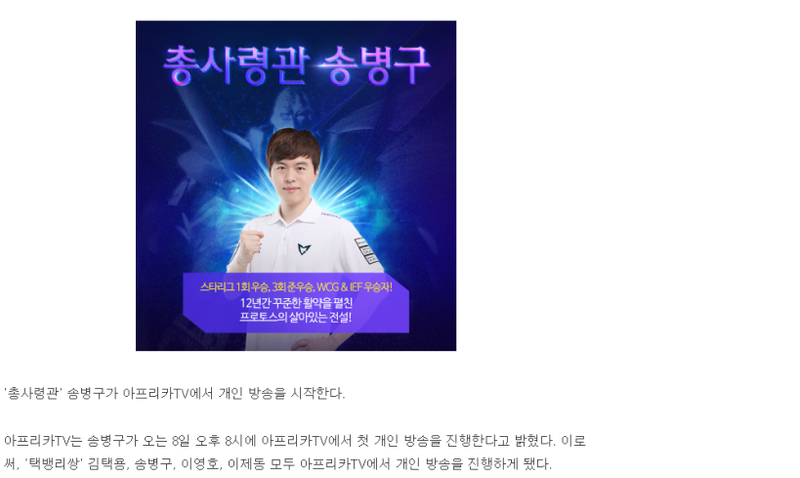 Wasnt this guy all anti afreeca and scolded the players who streamed for Cash? Now he does it too..